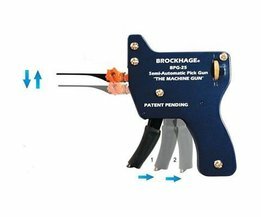 Brockhage is known as one of the best brands in the lock picking world. 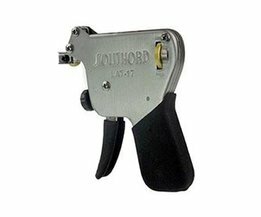 Thus, the Brockhage lockpick guns are the best from the market and have an equally impressive reputation. 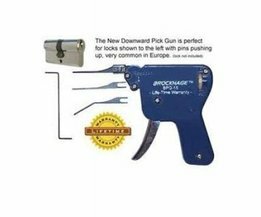 This downward lock pick gun is suitable in particular for the European locks. The pick gun is very user-friendly. You simply pick up a pick and put it in the lock pick gun. Then, use the tension tool to create tension in the lock. Moving the pick with the help of the gun back and forth, the pins are placed into the right position and the lock opens. 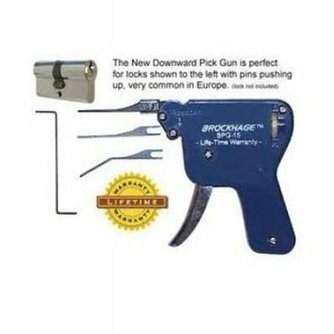 Although the use of this lock pick gun is not difficult, the more you practice the faster you are! 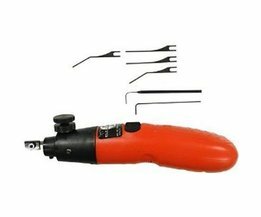 This lock pick gun is the best you can buy from the entire range of manual lock pick guns.